I want to thank for their support in EuroEducation arrival in the wonderful city of Brno. Excellent management of the firm, responsible, and have a friendly atmosphere is very pleased with me on arrival. I would also like to thank the founders and current owners of the company, which to this day remain my friends and helpers in many situations. I have advised many people is this organization to come to Europe. They thank you very much for your diligent work! Competent organization working with students, advice and timely assistance in resolving issues with the stay of the participants of the international program, communicative and positive team. EuroEducation firm currently the most reliable, in my opinion agency through which you can quite happily send their children to study in the Czech Republic .. no negative side I did not notice, I did not receive complaints .. prices are moderate, the site all painted in detail, and how I know, students receive advice and assistance constantly .. and of course, very important idea of ? 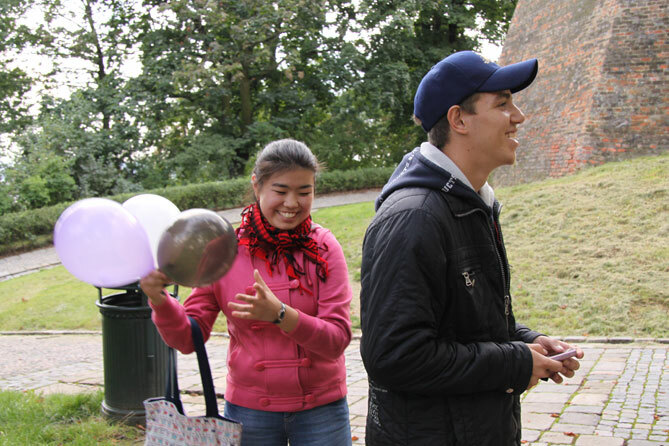 ?creating a conversational club, which was visited by my daughter Julia and Alain. Thanks to EuroEducation I’ve got to the Czech Republic, but more important thing that thanks to them I have remained here. This is not just a company that professionally prepares the documents, these are wonderful people who will help and support in terms of visa and admission to the university, and life in the Czech Republic, and will not give up in difficult times. Firm Euro Education is very strong and well helped me get started in the Czech Republic - have helped with the choice of apartments, providing high-quality support on training, on visa issues, advise in the Czech legislation. The quality of their services is very satisfied. I came to the Czech Republic in 2010. It was my first trip abroad without adults, because experiencing some fear inherent think everyone who is in a foreign country for themselves . But as it turned out , for the reason there was no fear , we landed safely and I met at the airport on time , even though my flight was late and for a few hours , I was patiently waiting in the arrival hall . Then taken to the hostel after the settlement , I remembered I am terribly hungry , and with no food is not there, then an employee of the company agreed to drive me to the store , despite the fact that time was about 12 o’clock at night . In the subsequent time I had many questions and requests, and at times I called with my questions and at 7 am and late evening , and despite the fact that it was in non-working hours , the company employee calmly answered my questions . Services company I am very happy for the first few months you care as a child , so complaints about incompetence company I have. My trip to the Czech Republic began with the selection of the city in which I wanted to start their studies. The choice fell on Brno. On the Internet I found a company : "Euroeducation", which offers services and assistance to the ... "Euroeducation" I met a very nice woman Anna who I consulted for about half the year on all matters before my trip . Already in the Czech Republic to the airport I met a wonderful young man Eugene, who helped me move into a dorm. He also immediately gave me a sim card with the most favorable rate and the cable that would connect to the internet ! In general, all the essentials. The next day was an interesting tour. Is another young man named George told about local attractions , conducted a walk through the city center and helped make travel on public transport. Now begins the preparation for entry and Euroeducation as actively advises and assists me. I am grateful for all EuroEducation. For understanding, getting answers at any time and on different topics, help in the collection of documents, adaptation in the Czech Republic and for the friendly attitude and help at any time. Work in EuroEducation tsnlom happy. If you have any problems, get a good help and support. At any time you can get timely advice. People working in EuroEducation very friendly and responsive, so on any issue can be pleasant to come to the office and get answers. In principle, I am very pleased with the work EuroEducation, in my memory no stocks by employees. Doing their work on Hurray! The purpose of the company’s employees - young visitors to send people back on track with what they do well. After all, the final result depends on this young entrants, gentlemen workers to the same pleasant and helpful people - is a huge plus! Overall, I am confident that the company will grow and delight the Czech Republic new frames. Came to the Czech Republic in 2012 with the help of the firm EuroEducation. Work of this company was pleased. All terms of the contract have been met. Helped with different documents, with submission of visa applications, help you learn. Staff - nice and pleasant people. I’m not sorry that it turned into EuroEducation. EuroEducation work organized. Overall happy with their work. Always solve any problem students. All services provided in the contract is performed. From the outset, the company with me, she showed herself to only the good side. High qualification and level of training is very pleased, and in particular their relationship to the case. It should be noted that all necessary services firms provide staff time and precision requirements. For the year of cooperation with was very pleased with their work.